Then I've noticed that the official walkislay website has been updated with this years itinerary. 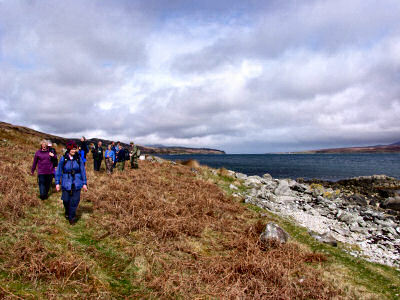 Some very interesting walks again, go and check them out. I'm also told that the March issue of Country Walking magazine will have a feature about Islay and the walking week, probably including some of my pictures from WalkIslay 2004. Anything else? Don't think so, apart from that I'm working on finalising my plans for it. Getting the holiday signed off by my manager, booking the ferry, those kind of things. How about you?